This is the last of the Gamest DDP VHS's I needed for my collection. 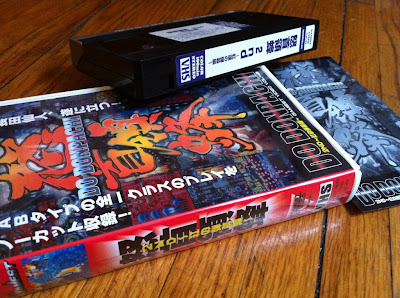 It covers the A-type and B-type ships on one VHS and has been totally elusive! I couldn't find one through YAJ or the shmups forum or Cave-STG. Bored one day at work, I checked through Amazon.co.jp and there it was - for 5000 yen! rancor, my man in Japan, hooked it up for me and I got it in a two package lot with tons of superplays - which I will post up about here shortly. 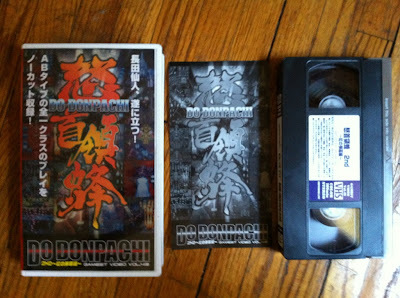 The copy looks brand new and plays perfectly, which for an old VHS is key. I have been silly lucky with the quality of the VHS stuff I have been buying - old anime (Dominion Tank Police, Kishin Corps, Bubblegum Crash, etc) and superplay stuff - and I hope it continues! It's a great, super professional superplay which is something you can always expect with Gamest. The content has since been uploaded to youtube, superplay.co.uk and nicovideo and should be pretty easy to find. Yes it would be! The upcomming Wasshoi is probably as close as you will get - live superplays and players and musicians. I did take a look at flying out for this, but for $2,000 for a plane ticket, I unfortunately have to miss it. Now, if I can only get to the second loop of DDP, I'll have something serious to show off!